Click on Youth Opportunities to learn about all the amazing hands on workshops PSTV is offering. Check back from time to time as we update offerings. Sign up Today! PSTV is dedicated to providing youth equal access to multimedia tools, digital and media literacy training, and industry experience. 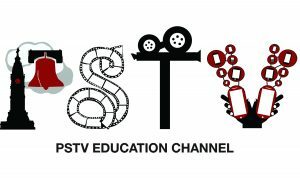 PSTV is the education channel for The School District of Philadelphia (SDP), and is open to ALL enrolled students who have a current school issued ID, including public, charter, private and parochial schools. PSTV broadcasts youth-driven programming created by and for students that benefits them and their communities, 24 hours a day. In our industry standard state-of-the art production studio we provide multimedia tools for students to gain hands-on experience in a professional environment. PSTV’s approach to media and digital literacy provides students, teachers and parents the opportunity to work together, and use critical thinking skills while creating media that enables constructive social awareness and responsibility. Plus, students will have opportunities for internships, apprenticeships, and further education. Watch PSTV on Comcast/Xfinity Channel 52, Verizon Fios Channel 20, and online. Stay up-to-date with PSTV happenings!